It’s one thing when modern medicine becomes so hidebound that it struggles over shedding a bit of traditional doctors’ garb. But new information emerging about cardiology’s entrenched reliance on maverick surgeons and evidence-light therapies in treating heart problems raises real questions: Exactly what’s going on in this costly area of care? Haider Warraich ── a cardiology fellow at Duke and author of “Modern Death,” a book exploring how technology and modern mores are changing patients’ end-of-life experiences ── deserves praise for raising major concerns about the too easy acceptance by doctors and surgeons of existing, device-based treatments for heart conditions. The headline on his Op-Ed in the New York Times summarizes well his tough point: Don’t Put That in My Heart Until You’re Sure It Really Works. He, of course, points to recent challenges about the effectiveness of cardiac stents. They have been commonly used for years now ── in hundreds of thousands of surgeries ── supposedly to relieve blockages in patients with stable chest pain. But recent research has started to show they provide no benefit over drugs, and it was only after further study showed that a new kind of dissolving stent contributed to increased heart attack risks that the device maker pulled the already in-use product, Warrich notes. [It’s] a condition affecting three million to six million Americans, [and] is caused by irregular contractions of the heart and results in an increased risk of stroke and death. Over the past two decades, cardiologists have increasingly treated it with a procedure called catheter ablation, in which small plastic catheters are used to create scars in the damaged heart tissue to prevent the aberrant electrical signals from spreading. 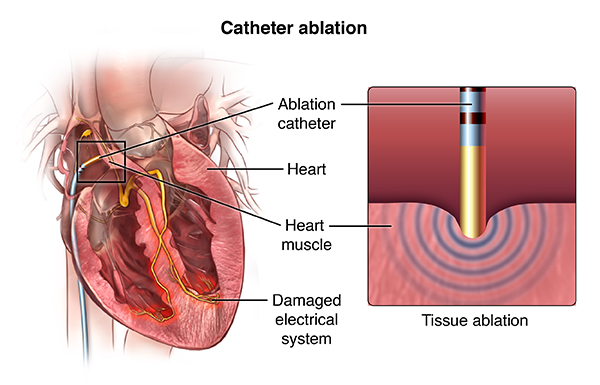 Many have touted catheter ablation, which can cost well above $20,000, as a ‘cure’ for atrial fibrillation. In the furor over the Cabana results, which have been presented at a scientific conference but not yet published, many have argued that the underlying data suggests that catheter ablation does help some people. But a different kind of study will be needed to confirm that. The fact is that years after catheter ablation hit the market, we shouldn’t have this many questions about it. The bar for approval of medical devices is too low. There is no reason we shouldn’t require, as we almost always do for drugs, a randomized placebo-controlled trial showing improvements in ‘hard’ outcomes like [how they affect] mortality before approving them. So if the verdict is mixed or out on ablation’s effectiveness, why was its use increasing “exponentially,” and why was it performed on more than a half million patients between 2001 and 2013? Warraich says that doctors can be like profit-seeking sheep, and when colleagues start doing a surgery that seems to help patients, others follow, often somewhat blindly ── especially when the financial incentives to do so run so high. He points to recently publicized financial information from Ohio State University, where two heart specialists each made $2 million each in 2016, partly by performing many ablations. That made them among the Buckeye’s top 13 highest paid employees, receiving higher compensation than the university’s president. To illustrate the money grabbing in cardiology, especially with medical devices, he also tells how a maker contacted him, seeking his expertise in persuading more specialists to adopt their $25,000 heart pump. He replied that it would sell well, if the firm, first, would develop evidence of the device’s effectiveness. He never heard back. His piece appears in timely fashion, as cardiac specialists confront other major controversies in their field, including whether a transplant center allowed a prominent maverick to go too far in trying to pioneer procedures and whether a major patient advocacy group should partner with Big Pharma and medical device makers to seek innovations in heart care. ProPublica, the Pulitzer Prize-winning investigative site, is continuing its dig into the major fall of Baylor St. Luke’s Medical Center and its research partner, the Texas Heart Institute, focusing on the dubious reality of the practice of O.H. 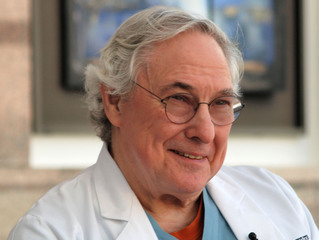 “Bud” Frazier, a surgeon publicly celebrated for saving and changing lives by pushing cardiology’s bounds, especially with pumps and even an artificial heart. 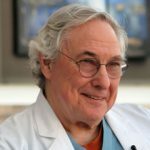 [O]ut of public view, Frazier has been accused of violating federal research rules and skirting ethical guidelines, putting his quest to make medical history ahead of the needs of some patients, an investigation by ProPublica and the Houston Chronicle has found. Reporters [based on] internal hospital reports, federal court filings, financial disclosures and government document [saw that] Frazier and his team implanted experimental heart pumps in patients who did not meet medical criteria to be included in clinical trials, [prompting] St. Luke’s to report serious research violations to the federal government and repay millions of dollars to Medicare. A former top St. Luke’s cardiologist said he believes that Frazier favored experimental heart pumps over more proven treatments and that Frazier was reluctant to acknowledge when the devices led to serious complications. Frazier has often failed to publicly disclose consulting fees and research grants — and in one case, stock options he received and later transferred to his son — from companies that made the pumps he tested. And a former St. Luke’s nurse alleged that Frazier allowed a researcher who was not licensed to practice medicine in Texas to treat heart failure patients in his program. Both tried untested techniques when the field of heart surgery was in its infancy; Cooley famously obtained an artificial heart from DeBakey’s lab without his approval and implanted it in a patient, becoming the first in the world to do so. Like his mentors, Frazier was willing to try promising but unproven medical devices to help desperate patients, his allies say. If he broke rules, they say it was to give dying people a shot at survival, a mission that consumed his life. Frazier is 78, doesn’t perform surgeries any more, but remains a titan at St. Luke’s, which ProPublica has previously detailed has seen a plunge in the effectiveness of its transplant program. Does he provide a poor role model for his specialty? In my practice, I see the huge harms that patients suffer while seeking medical services, including for problems of the heart, with cardiac conditions a top killer of more than 600,000 Americans each year. My colleagues and I at the firm also often seek justice for patients and consumers injured by defective and dangerous products, including medical devices, which critics say get too lax oversight already from federal authorities, who only want to make their approval process faster and lighter. It certainly makes sense for heart specialists to approach their field and patients with the utmost caution and concern, especially for safety. This conservatism can be taken to stultifying excess, witness Johns Hopkins’ just abandoned insistence that first-year residents don short rather than long white coats as their more senior colleagues do. 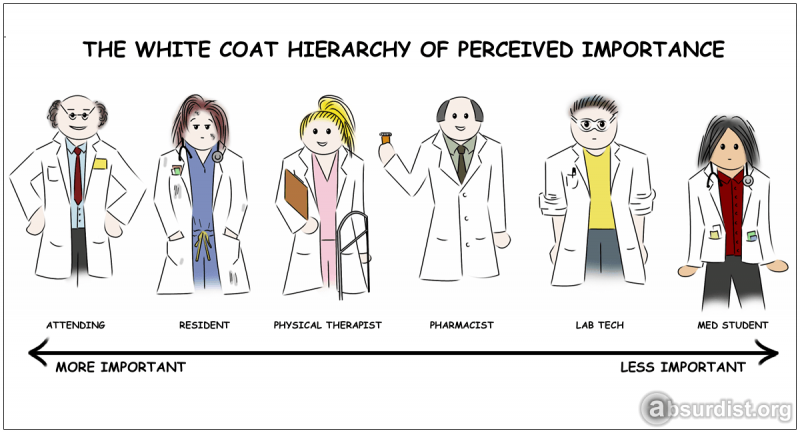 Young doctors complained, ever more loudly, that this was a small but significant slight, a condescension that once also included requiring them to wear all white underneath that short jacket, to stay unmarried, and to be white and male. 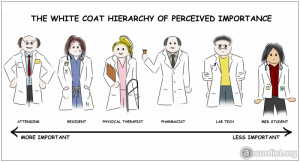 First-years argued that patients react poorly to short-jacketed caregivers, wondering if they are as capable as “regular” doctors in long coats. Honestly, when patients are so sick that they’re hospitalized, does this tradition matter or is it part of the confusion that has led some institutions to color-code staff wear so patients can distinguish quickly doctors from nurses and other medical staff? Is this a bona fide 21st century issue or is it akin to barristers donning wigs for court proceedings? But, more seriously, allowing cardiology and cardiac surgery to advance without a basis in evidence, with excessive mimicry, with maverick surgeons as role models, and with financial interests of doctors and surgeons at the fore ── this is a textbook prescription for bad medicine that fails to benefit and may harm patients. Common sense and moderation ── not veering wildly between risky practitioners with derring-do and profit-nabbing sticks in the mud ── would best serve this specialty and patients, right? That’s a key reason why the American Heart Association should rethink its plan, reviled by prominent figures in cardiology, to launch a $30 million venture capital fund to bolster innovations in “heart disease and stroke care.” Progress in treating heart disease has seemed to stall out, with death rates recently ticking up after years of decline. But critics, rightly I think, say the heart association risks compromising its valuable independence in weighing in on best practices in the field.